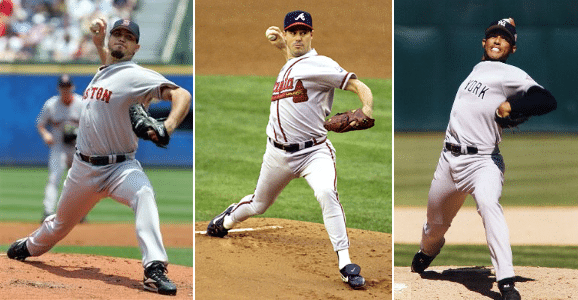 There are many pitchers in Litle League, high school, college and MLB baseball that land with a closed front foot. 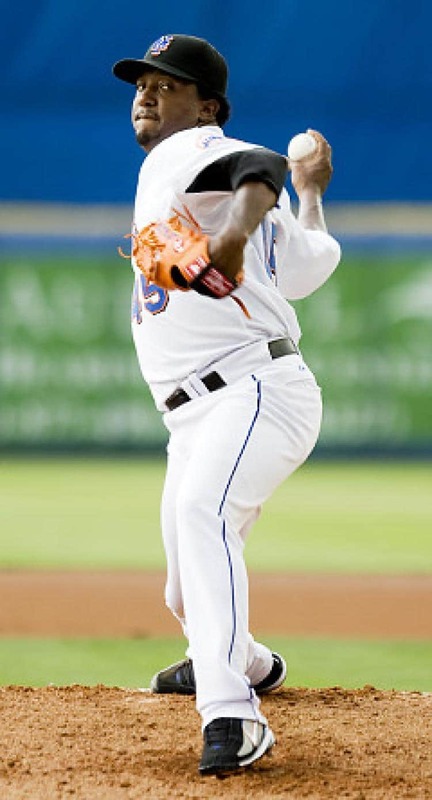 This means that the front heel is crossed over the back toe when the pitcher is in full stride. 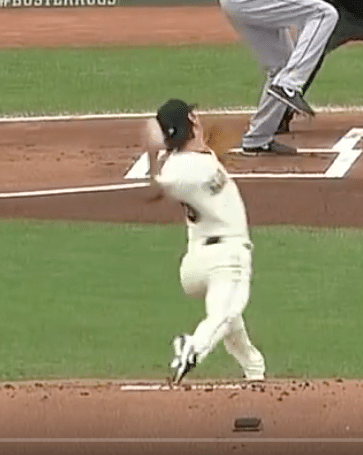 Tim Lincecum is one the biggest examples of being in this position at front foot strike. You can see in the picture below how far he the center line of his back foot. Lincecum had a stretch of four years where he had over 200 innings and 200 strikeouts and made the all star team in all four years. 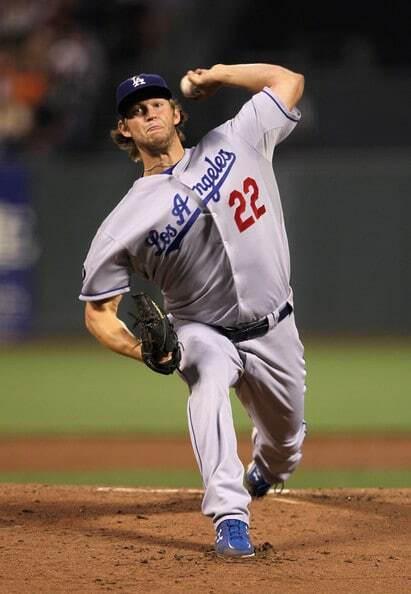 In his first two full seasons ((2008,2009) he won two Cy Young Awards After 2011 he had failed to hit those numbers and significantly dropped in all pitching stats. SO WHAT HAPPENED? 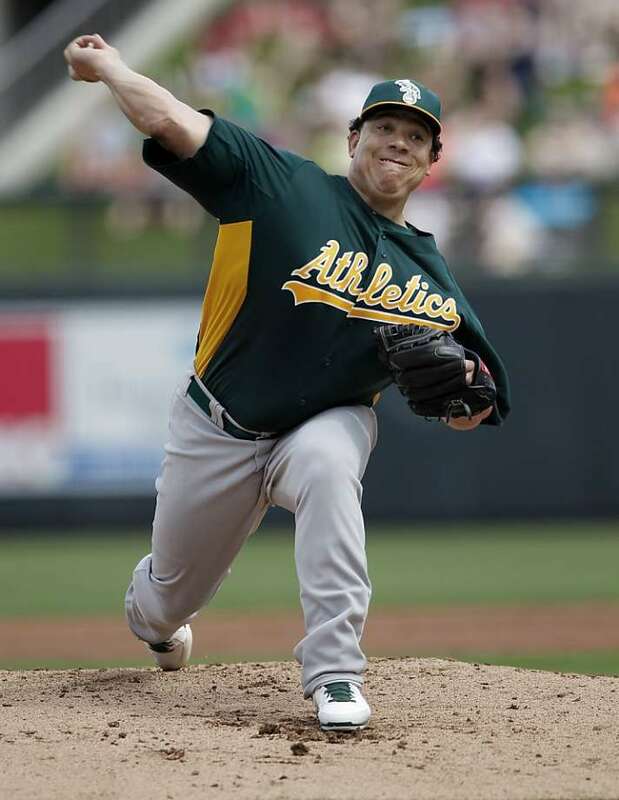 In 2015 31-year-old Lincecum underwent an arthroscopic procedure after being diagnosed with degenerative hips. A disease that affects the hips and causes arthritis from putting excess stress on the joint. I think the reason for the drop in efficiency was due to his hip injury caused by flawed mechanics. 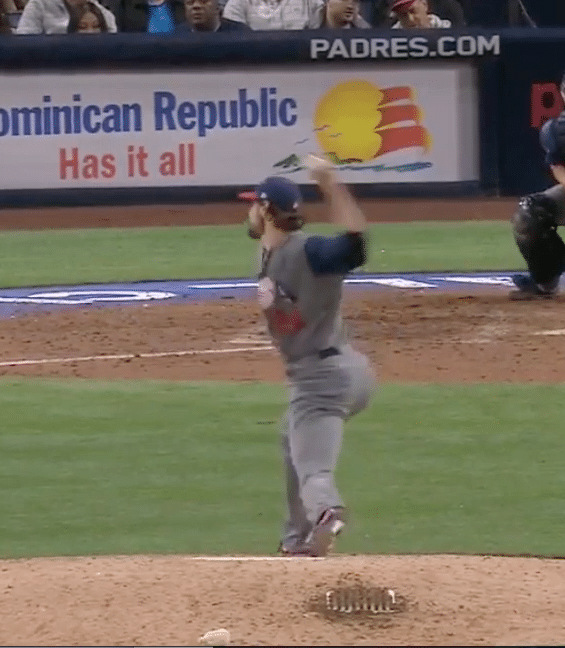 You can see the force being put on the front foot which travels all the way through his hips. Being closed at front foot landing and staying connected with the ground with his back foot enhances the stress levels put on the hip joints. Andrew Miller has been the number one reliever for the Indians with an above average fastball and a nasty slider that seems to never get hit (Editor’s Note: even though chas dominated his face in college with a double off the fence…EAT IT) He was a starter in the Minor Leagues and moved to the bullpen after getting to the big leagues. This is not uncommon, usually, good starters in the minors become great relievers in the majors. The reason I wanted to write this article is that I was wondering if his mechanics play a part in his current knee injury. You can see in the picture below that Miller closes his lower half off landing outside of is back toe. Andrew Miller has been suffering from patellar tendinitis in his right knee and was placed on the disabled list on August 22. He is expected to come back mid-September. Patellar tendinitis is a common overuse injury, caused by repeated stress on your patellar tendon. The stress results in tiny tears in the tendon, which your body attempts to repair. But as the tears in the tendon multiply, they cause pain from inflammation and weakening of the tendon. When this tendon damage persists for more than a few weeks, it’s called tendinopathy. This is the reason why I think Andrew should look at changing his closed off landing and work on landing heel-to-heel. In the gif below you see that when Miller lands and is securely into the ground with his cleat his hips rotate open. Just Like Tim Lincecum the front leg braces up, which it should do, but being as tall as Andrew Miller the force is transferred to his knee. Landing Heel-to-Heel is the optimal way to allow your hips to rotate all the way through to braces up the front leg. 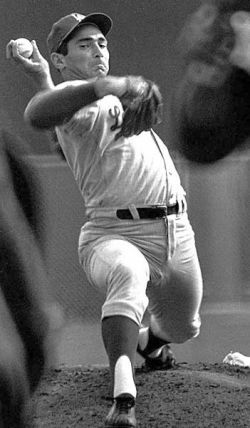 A pitcher can also create the most amount of hip to shoulder separation into the stride. The length of the stride will increase by landing Heel-to-Heel to maximizing velocity.